There are many tempting places to feed yourselves in and around the area. Some of our most recommended places to visit can be found here. Just a short drive from Little Laight, Henrys Bay House Restaurant boasts the finest sun terrace for alfresco dining and views to be inspired by. An Italian restaurant that also does take out. Eric McIlwraith fishes from Ballantrae harbour during the summer. He has a red van and works from the Lifeboat shed. Call him the night before on 01465 831422 or find him at the harbour. 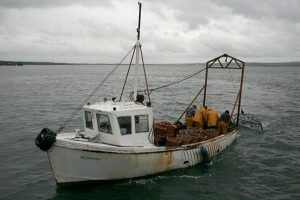 The estate has its own oyster fishery and the boat The Vital Spark is kept in the harbour in Stranraer. Good fresh fish. Quite a lot of choice including local prawns and scallops, crabs and lobster to order. Marrbury Smokehouse which stocks its own produce and has a bistro on site. Approx 30 miles. On the banks of Wigtown Bay. Approx 30 miles. On the Mull of Galloway near Drummore. Just off A75 near Dumfries - approx 75 miles - and a great place to stop and stock up en-route to Little Laight. View Where to Eat near Little Laight Cottage on a larger map. 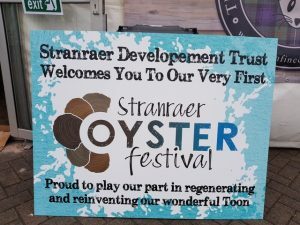 Also, read our news post: The Stranraer Oyster Festival.